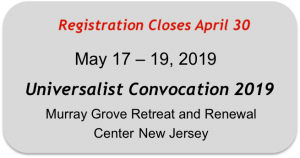 Since 1990, Universalists have been holding their annual convocation to holdfast the spiritual roots of American Universalism. Join us for the Universalist Convocation 2019. Attending this Universalist Convocation is a perfect opportunity to learn the rich history of the other U in our UU faith tradition. This convocation will explore the roots of Universalism in America with discussions on John Murray, Hosea Ballou and other early Universalist voices in America. In addition, a performance of Love Notes will be presented. Love Notes is a timeless love story told through selected readings of love letters between John Murray and his American bride, Judith Sargent, with musical accompaniment. Registration: Closes April 30, 2019. Space is limited, so please register early. Program: Follow this link for the full program. Off-Site Accommodations: List of recommended local motels. Rev. John A. Buehrens. Rev. Buehrens, former president of the UUA (1993 – 2001), is currently the senior minister of the First Unitarian Universalist Society of San Francisco, California. He is the co-author with Forrest Church of A Chosen Faith: An Introduction to Unitarian Universalism. His other books include Understanding the Bible: An Introduction for Skeptics, Seekers, and Religious Liberals (2004); A House for Hope: The Promise of Progressive Religion for the Twenty-first Century, with Rebecca Ann Parker (2011); and Universalists and Unitarians in America: A People’s History (2011). Rev. Richard Trudeau was for 17 years the minister of the Unitarian Universalist Church of Weymouth, MA. He has been actively involved with the Universalist Convocation for 28 years and served as its President for 4 years. 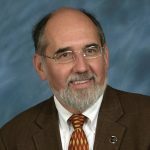 He is the author of Universalism 101: An Introduction for Leaders of Unitarian Universalist Congregations and the more recent Bible Stories for Skeptics. 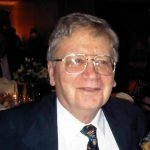 Additionally, for 35 years he was a professor of mathematics and the history of astronomy at the Stonehill College in Easton, Massachusetts. The Rev. 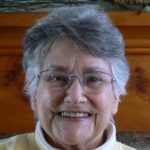 Dr. Elizabeth M. Strong is a third generation Universalist, a retired Unitarian Universalist Minister of Religious Education and Minister Emerita of the First Parish UU Church in Ashby, MA. She is published in books, the worship web, a UU RE pamphlet, and two curricula, “Messages in Music” for junior high and “Remember Universalism into Life” co-authored with Rev. Ray Nasemann. She received the Angus MacLean Award for Excellence in Religious Education and the Meadville Lombard Board Alumni Service Award and the Larry Axel Excellence in Teaching Award from the Independent Study Program at Meadville Lombard. The 2019 Universalist Convocation is also the kick off for the 250th anniversary of Rev. John Murray preaching his first Universalist sermon in Thomas Potter’s chapel in Murray Grove, New Jersey in 1770. The Convocation’s Sunday morning service will be held in Potter’s Chapel. The mission of Murray Grove Retreat and Renewal Center is to mark the origins of American Universalism. Murray Grove is located on the site where Rev. John Murray, an English minister, came ashore in 1770 to preach his first Universalist sermon in America in the chapel of Thomas Potter. Potter built his chapel with the hope that one day such a sermon would be preached. The Retreat and Renewal Center provides lodging, meeting spaces and dining facilities.